For years I avoided giving up dairy. Starting a paleo diet significantly improved digestive issues I’d suffered from for years, but I could sense something was still not quite right. I developed hormonal acne shortly thereafter (which I soon learned was also very much related to my gut health), plus would suffer from pretty painful stomach pain from time to time. I avoided giving up dairy because I never experienced any immediate reactions. However, it wasn’t until I gave up dairy longterm that I started to recognize improvements. I think for a lot of us, we look to see if we’re reacting immediately to something, instead of considering long term effects. For that reason, I believe it’s imperative to try giving up certain hard to digest foods like dairy or gluten for a longer period of time, to truly assess whether or not it makes a difference. This month, So Delicious launched it’s 21 Day Dairy Free Challenge. With coupons, tips, shopping lists and more, it’s a fantastically simple way to eliminate dairy for a long enough time to see if it makes a difference. 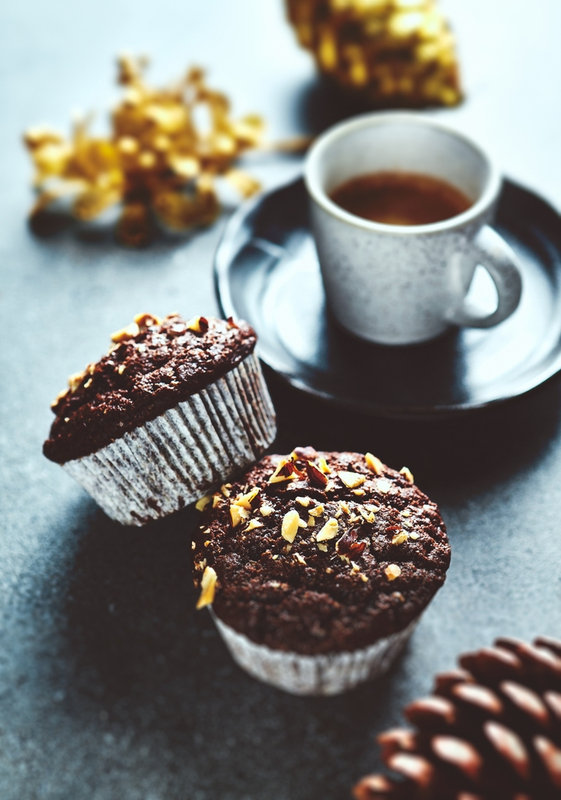 To prove how delicious going dairy free can really be, I decided to create this recipe for Dairy Free Chocolate Hazelnut Muffins using So Delicious’ Hazelnut Creamer. Thought creamer could only be used in coffee? Think again! In a medium size mixing bowl, combine all dry ingredients (aside from the chocolate chips) and whisk to combine. Add all wet ingredients and combine until batter resembles that of pancake batter. Fill a 12-cup muffin pan with paper liners and add batter until each cup is about ¾ of the way full. Add extra chocolate chips to the top of each muffin and bake for about 25 minutes or until a toothpick can be inserted and comes out clean. Disclosure: I received products and payment from So Delicious as compensation for this post, and So Delicious did not influence my opinion of this or any other product. All views and opinions expressed in the post are my own and no other compensation was provided. These muffins look incredibly delicious! Nothing better than being able to start off your day with a little chocolate sans guilt! I’m guilty for having such a chocolate sweet tooth. Everyday I struggle finding healthy alternatives for chocolate. 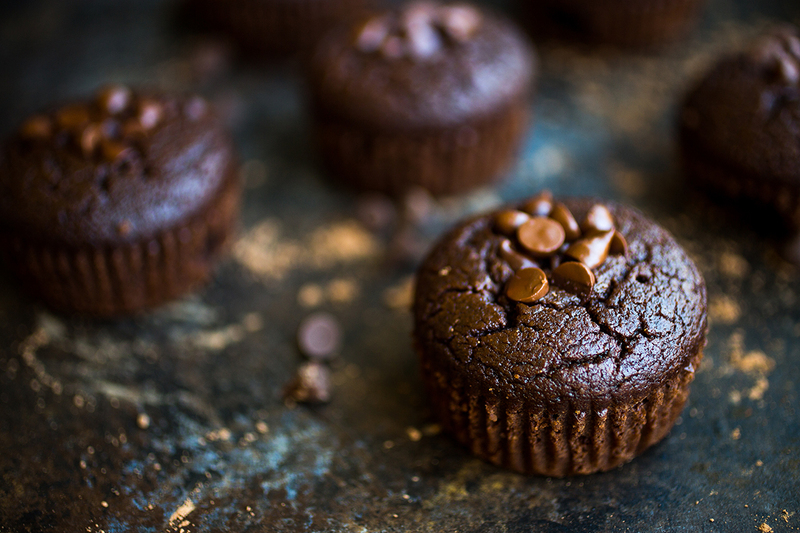 I am so pumped to try these chocolate muffins! I love So Delicious products so I’m positive these are going to be a big hit. These look amazing!!! Never thought to use creamer but def going to try. I am going to make these this weekend. I have been trying to move more to a dairy free diet. Eggs are not a dairy product. Eggs are from chickens, milk is from cows. Hope that clarifies!